Anyone who writes a successful blog will tell you that readers didn’t appear overnight. Getting regular hits (views/traffic) on a blog takes a lot of hard work, even after the writing part has been done. In this post I will try and give you some tips about how to get your equine blog seen and which ones I found worked well for me and areas I’m still working on. 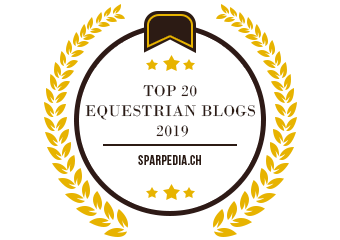 I am very lucky now in that even if I am having a bad week for writing and only get one post published on EquiPepper, I will probably still get 20ish views a day, which is what I got in my first month of having EquiPepper! One of the easiest things to add into your blog are tags. These are words or short phrases which sum up the topic of the post and is what allows search engines to find you blog. For example, for this post I will probably use the following tags; Horse, Equine, Blog, Advise, Tips, Equine Blog, Networking. How many tags you use is up to you. But I remember being told try to keep it less than 10. And this is now a rule that I tend to use for all my posts. Along with good tags, you need a good title. Now a good title can either really sum up what you are talking about, or it can be a fun title (or both!) And both of these types have title have their own benefits. For example, one of my blog posts looking at growth rates in thoroughbreds and comparing it to when they start racing is called ‘Thoroughbred Growth rates: Ready to Race?’ When you search ‘growth rates in thoroughbreds’ or ‘thoroughbred growth rates’ my post appears on the first page of searches. So although tags help identify your posts in search engines, a good title can too! And there is no reason you can’t find a way to combine them both, to give your post the best chance of being read. Just remember that if you are writing an equine blog (or any blog) your audience probably has similar likes and views to you. Write a title you would want to read! This is a big one for me, make sure that whatever server you are using to create and manage your blog allows people to follow your blog. This is really important as the chances are, if someone likes one of your blog posts, they will probably like other things you post! Allowing people to follow your blog means they will get a notification, or at least have an easy way to know, every time you post something new. A lot of these followers will be what drives regular visits to your blog. I use WordPress, so people who have WordPress accounts can follow my account and will see recent posts from their followers when they first log in, a bit like Facebook. They will also get an email every time you post a new blog. However, make sure there is an option for people who don’t want to make an account just to follow your blog! On WordPress people can follow a blog by entering their email address and receiving emails every time you post with a link to the new post. It is important to interact with other bloggers to grow your blog. Try and follow similar blogs because they might post something you find interesting and you can either comment directly on their blog, or you can write your own blog post in response. These things encourage other bloggers and their followers to visit your blog and see what else you have to say! When I first started trying to improve my traffic, I found equine blog network Haynet very helpful! They now have a huge following and every day they have a blog of the day which is shared all over their social media. However, even if you aren’t blog of the day, their website gives you the opportunity to share a link to your posts on a newsfeed similar to Facebook where anyone visiting the website can see it, even if they do not have an account. This is where a catchy title comes in too as the admins read a lot of these posts and their favourites usually spend a few weeks in a prime position on the website or feature in a newsletter. So it is definitely worth using. I try to share all my posts on there! Guest blogs are when you either write a post for someone else’s blog or someone writes for you. These work well for both parties. If you are writing for someone else, their followers will see your post and may then visit your blog to read more of what you write. And if you are the one having someone write for you, they will usually share this on their social media and possibly their blog, so that their readers/followers may also visit your blog. I love doing Guest Blogs and I have a section on EquiPepper dedicated to them. Finally we come to social media. Unfortunately, this is an area I am a bit weak in and I am trying to improve. So many people use social media and it’s usefulness in business marketing has really taken off, making it a great place for you to advertise your blog. However, it is very competitive and can be hard to get seen. To use Social media effectively you need to build a big following. Do this by interacting with people on the industry, preferably people with a big following. Twitter Chats are a very good thing to get involved with. They happen most nights now and involve using a hashtag and often winning prizes. Find out more about them here. Once you have a following (big or small) keep active. I have my blog set up so that everything I post is automatically shared on my facebook page and twitter account. I also try to share interesting content on all my accounts to try and drive the following a bit. It’s slow progress but we are improving every week! I hope this post has been helpful for anyone looking to improve the views on their equine blog. I am far from an expert on this subject, but these are things I use daily to drive readers to Equipepper.